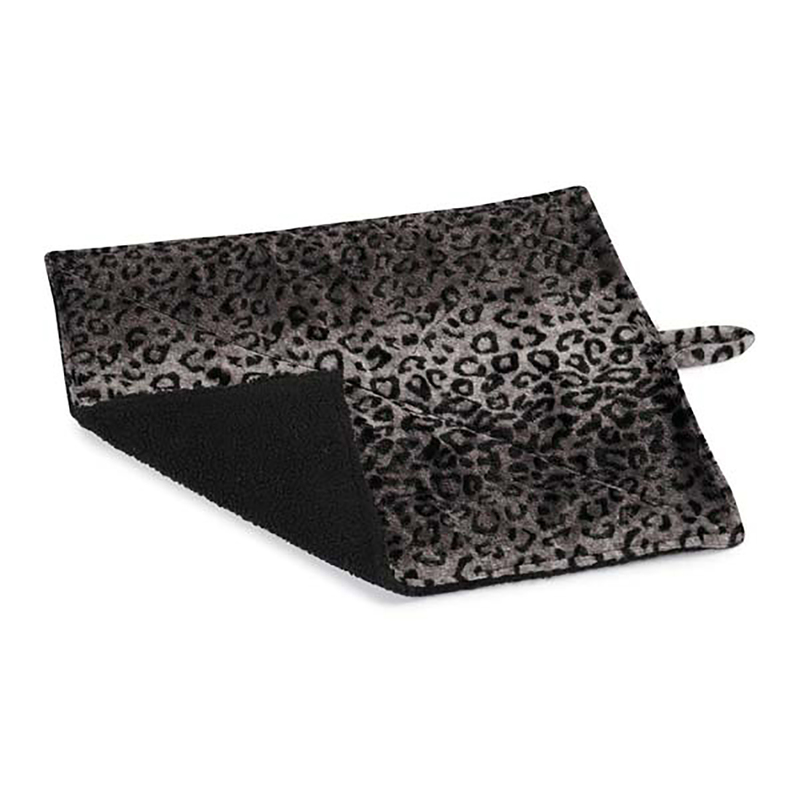 This soft and comfortable Meow Town Thermal Cat Mat in Gray Leopard works with a pet's body temperatures to maintain consistent warmth. The innovative thermal interior layer in our Meow Town™ ThermaPet™ Thermal Cat Mats keep cats warm by using the cat's body temperature to maintain a regulated climate. Engineered to be reversible. 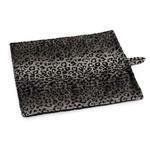 Meow Town ThermaPet Cat Mats are made with metallized polyethylene terephthalate (MPET), the same material used in space blankets. Originally developed by NASA for the US space program, MPET is scientifically designed to offer maximum warmth without weight, bulk, or the use of electricity. This cozy cat mat offers the perfect spot for small animals to snuggle up and lounge the day away. 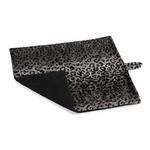 Features soft leopard print plush on one side and cozy Berber on the other, for maximum comfort. Made of polyester plush and MPET lining. Hand wash, hang to dry. Includes hanging loop. This site was great - easy to maneuver through, easy to select and purchase, The quality of the products that I purchased were great well made and reasonably priced. I received all items when they said I would receive them, The tracking of the product was very simple to use and my dogs were very excited when their package came in the mail and loved their new hoodies!!! !